Ageing on the Edge is seeking to form a national network of older people who are interested in being involved in taking action to get more help and housing for older people who don’t have a secure and affordable home in retirement. The Ageing on the Edge NSW Forum has developed from the Ageing on the Edge Older Persons Homelessness Prevention Project Reference Group. The Forum was convened in May 2018 to seek implementation of the key recommendations in the report, determine other key housing issues that need to be addressed for older people in NSW and work collaboratively towards achieving the Forum’s aims. What is the project aiming to do? We want a better housing deal for older people! The project is being conducted in light of recent research that is warning of rapidly increasing housing problems facing older people. Significant increases in older people relying on rental accommodation to age-in-place in retirement. Women are particularly vulnerable due to low paid and interrupted careers, lower rates of savings and superannuation. Most people affected have lived largely conventional lives but have, for a range of reasons, not aspired to or attained home ownership by the time they reach retirement. They need access to affordable housing to enable them to enjoy housing stability and affordability to ensure they can successfully age-in-place. The project will increase awareness of older persons housing issues across Australia, improve older persons’ access to housing and ensure better availability of services that can help older people in housing difficulty. Between 2011 and 2031 the number of Australians aged 65 years and over will increase from 2.4 to 5.8 million and represent 25% of the population. Between 2006-2011 people aged 55+ who own their home outright dropped from 63.8% to 60.5%. Between 1996 to 2007 public housing properties shrank by 32,000 while the population grew by 2.8 million people. In 2011, there were 173,000 Australians on public housing waiting lists. Between 2006-2011 the numbers of people aged 55+ living in private rental housing increased by 44% to total 334,000. The private rental market is insecure, expensive and poorly designed for ageing. There are many affordable housing options for older people in Australia. However, information and access points and procedures are poorly co-ordinated. Accessing housing options needs a specialist service approach that understands the needs of older people. Older people are often facing homelessness for the first time in their lives and need assistance to navigate their way through the complexity of options to gain a housing solution. 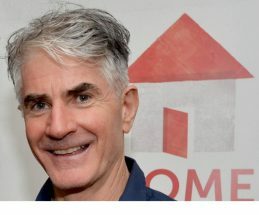 There are great models of specialist housing support services in Australia that can help older people at risk of homelessness, but they are fragmented and need to be expanded. 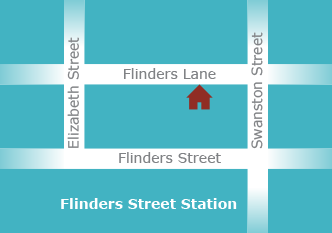 For example, the Home at Last service in Victoria provides a one-stop shop housing information and support service for older people but it is the only service of its type in Australia. In most cases older people just need short term, one time, assistance to transition into affordable housing. They then generally go on to live happy productive lives with little ongoing support needed apart from standard home based aged care. Governments can invest in this area knowing that minor, one-off expenditure to help and older person transition into secure housing is cost effective expenditure compared to the ongoing expensive provision of crisis housing, hospital care and premature entry into residential aged care accommodation. So where is the project beginning? Let’s get a clear picture of the current housing situation for older people. What housing options are currently available in Australia? How do older people discover and access affordable housing? What services exist to help older people find and navigate to affordable housing? The answers will enable the project to identify current opportunities and gaps in housing and service provision and make recommendations for reform. A national website as a clearing house for research and to bring people together who care about older persons housing. A National Older Persons Coalition on Housing (NOPCH). There is great interest across Australia to see reform of housing and related services for older people. We need a strong coalition to lobby the Commonwealth and State governments. What is our vision for the future? We want to see an Australian society that cares about the health and wellbeing of older people by ensuring that housing security, affordability and adaptability is a right not a privilege. The evidence shows that good housing provides an environment for good health, more disposable income and enables older people to contribute fully in society. This also means huge savings in avoidance of crisis housing and health services and premature entry into residential aged care accommodation. Housing for the Aged Action Group (HAAG) and the University of Adelaide’s Centre for Housing, Urban and Regional Planning (CHURP) have been funded by The Wicking Trust over 5 years to conduct an Australia-wide project addressing the housing needs of older Australians. The Project is being co-ordinated by Jeff Fiedler at HAAG and Dr. Debbie Faulkner from CHURP. The project is funded by The Wicking Trust as the project fits very well with one of the Trust’s priorities – assisting people to stay at home longer; including innovative models for supporting housing stability for older Australians at risk of homelessness. HAAG and CHURP are sincerely grateful to The Wicking Trust for providing our organisations the opportunity to conduct this important work. The Ageing on the Edge Research Library houses the growing body of evidence of older people living in housing stress and homelessness, and studies into the causes, effects and solutions to this problem. As the problem grows in all Australian states, as well as around the world, we need more research to further understand the complexity of issues involved. 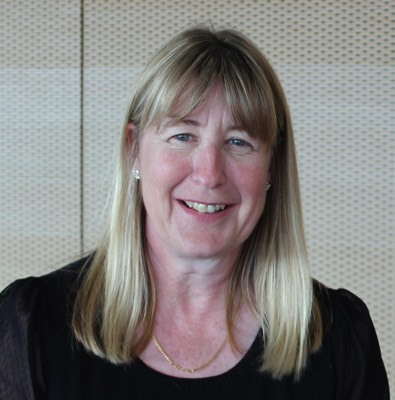 Debbie is a Research fellow at the Centre for Housing, Urban and Regional Planning (CHURP) at the University of Adelaide.